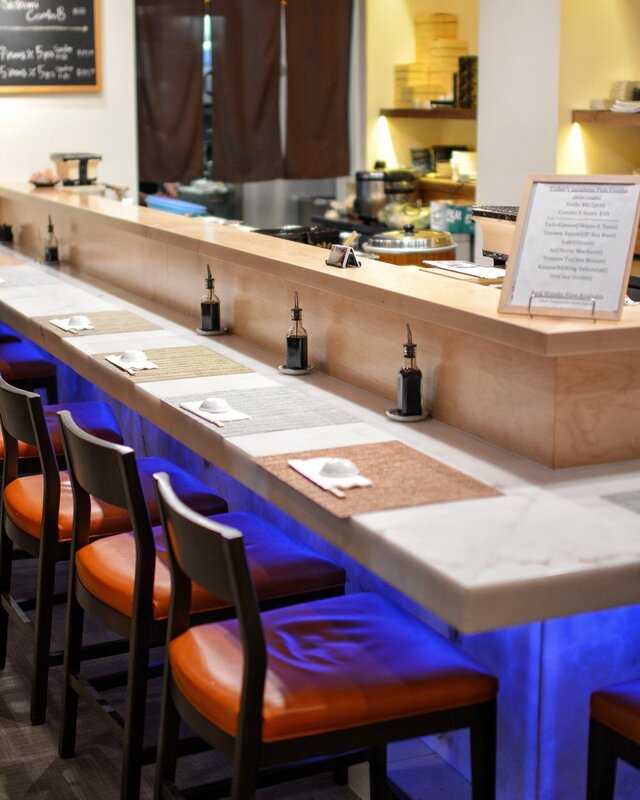 Located in Hollywood, Totoyama Sushi & Ramen is a purveyor of Aburi Sushi and fine Japanese dining from esteemed Chef Yukinari Yamamoto. 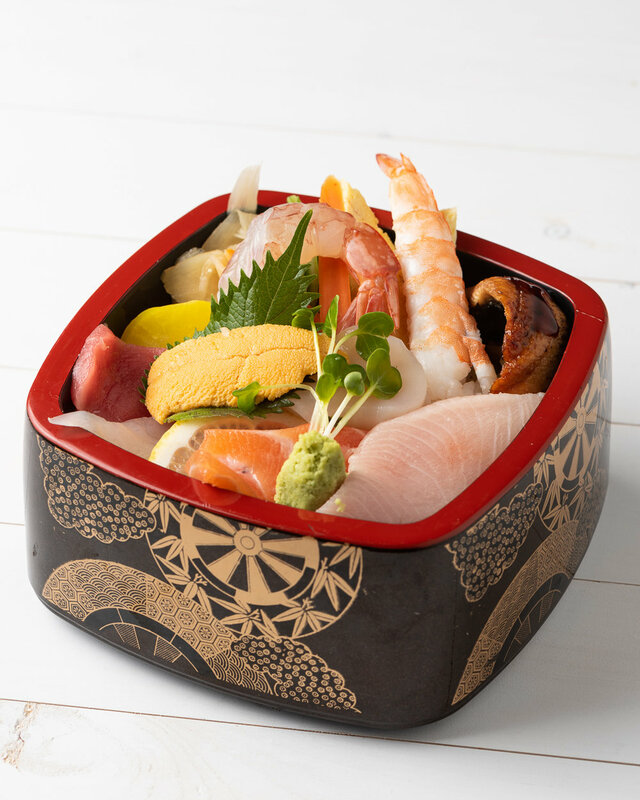 The restaurant offers aburi-style sushi and ramen sticking to carefully selected Ingredients, as well as sashimi, tempura, pork cutlets and more, a taste of real authentic Japanese cuisine at reasonable prices. We are located in the heart of Hollywood across from the W Hotel and one half block away from Pantages Theater. Please come join us for a taste of Japan. We offer 2 hour parking validation. Try our lunch specials available everyday. We offer to-go orders pick up or delivery by all food delivery companies. Aburi means “flame seared." 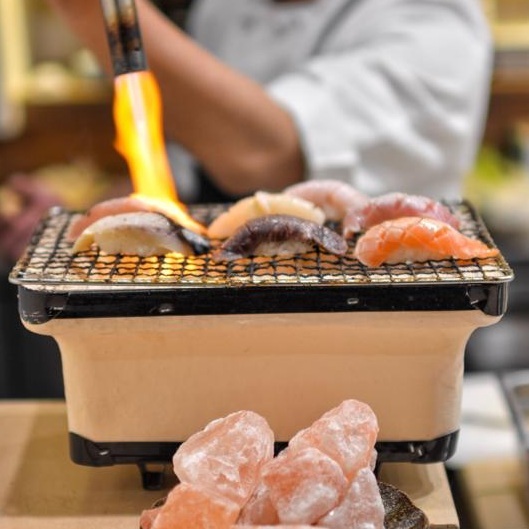 When flame is applied to sushi, the heat alters the sushi’s flavor and enhances the fish texture to create an escalated sushi experience. The combination of aburi-style sushi consists simply of perfectly seasoned rice (shari), and thin slice of fresh seafood, topped with secret signature sauces. Sushi is a form of art in Japan. Some aspiring sushi chef train over three years to even be allowed to prepare the shari, and many more years before they have a hand in preparing the seafood. You might have certain expectations when it comes to what you think sushi will taste like, but our aburi combines everything you love about sushi and more. Chef Yukinari Yamamoto has a vision is to introduce Los Angeles to a new delicious style of eating sushi. 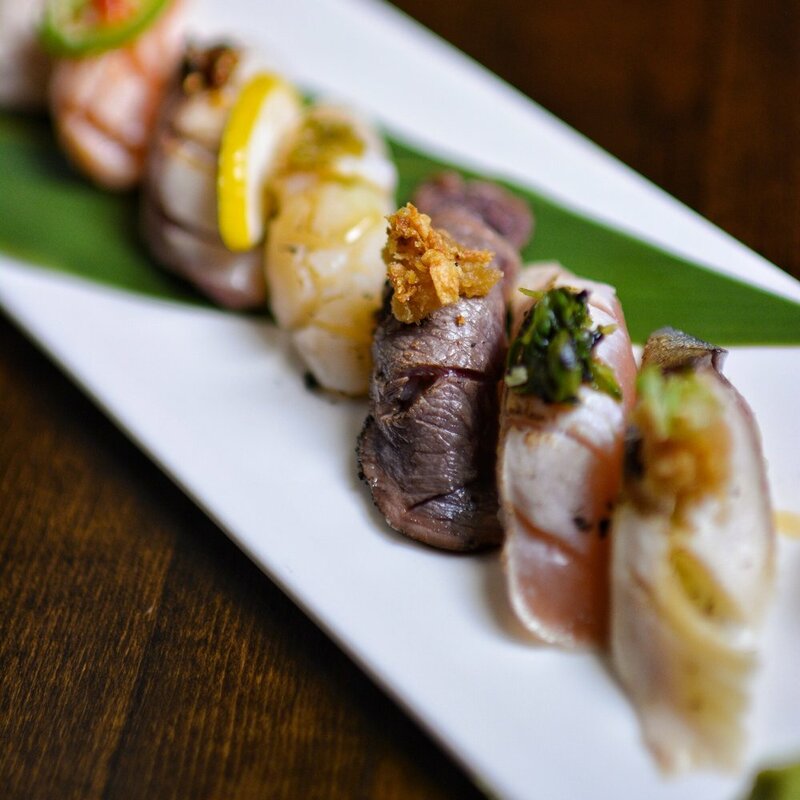 Come to Totoyama Sushi to indulge in an aburi sushi experience that you will not forget. 1988: He started entering the sushi restaurant business in Tochigi prefecture of Japan and started work of washing cooking and washing. 1991: Yamamoto became the store manager at an unprecedented speed and conducts sushi manufacturing management as well as numerical management. 1999: He would now be supervising 10 stores. 2000: He was promoted to the company headquarters and now in charge of 200 stores and marketing strategy. Next he became responsible for overseeing sales and headquarters, becoming vice president of a company in Hawaii. 2007: While he was vice president he opened and managed the Hawaii and Seattle locations. 2010: He became the president of America of a major Japanese company in Los Angeles and opened and managed the company. 2015: Founded Nasuyuki Inc. at the same time he opened the first store in Los Angeles Korea Town. 2018: In (June) He has now opened the first TOTOYAMA SUSHI & RAMEN located in the heart of Hollywood across from the W Hotel and next to Pantages Theater. Our mission is to continue to open restaurants that offer customers real authentic Japanese food at reasonable prices. Call (323) 791-7791 for Reservations or book online with OpenTable. Reservations required for parties of 6 or more. Couldn’t find what you were looking for? Call us at (323) 791-7791 or send us an email via the contact form below. We respect your privacy and do not share your information to third parties or affiliates.